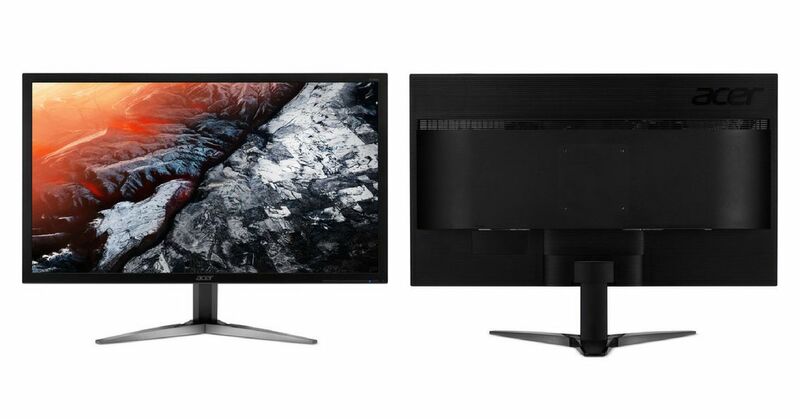 Acer KG281K is an interesting Ultra HD 4K gaming monitor. It does look boring but gives the user a surprising display performance. It´s time to take a closer look at this 4k monitor. The Acer KG281K is a 28-inch Ultra HD gaming monitor with TN panel offering a 4K resolution, a fast response rate of 1ms, 1000:1 contrast and AMD FreeSync support. If you are expecting flashy monitor standing on your desk which will make all your friends speechless – Acer KG281K is not that monitor. It looks good, that´s true, but the design is not outstanding. It´s just another gaming monitor with a sleek design that is common to this electronic manufacture. All the devices from the KG1 series have matte-black covering without unnecessary additions. People aren´t buying a gaming monitor for its amazing design, they want to see great image quality and fast performance without a screen tearing. Smooth gaming experiences are what they need. 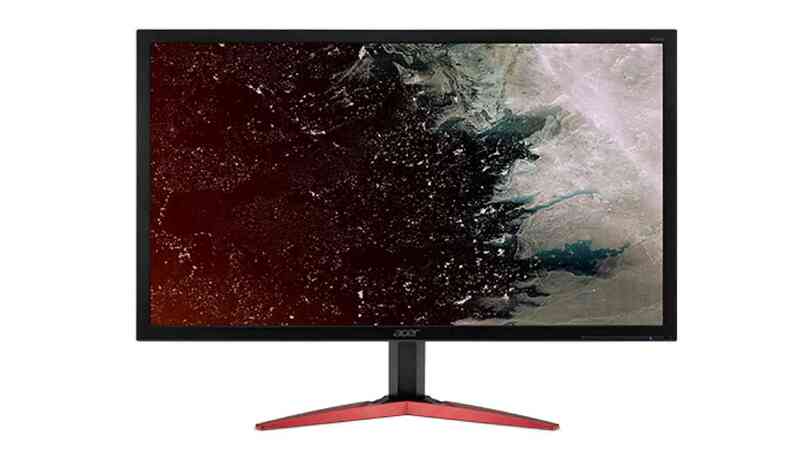 The Acer KG281K 28″ monitor features Ultra HD resolution (3840 x 2160) producing high-quality images with improved detail and creates great visual enjoyment. All that in combination with AMD FreeSync technology that eliminates screen tearing and fast response time of 1ms. What does it mean? It doesn’t matter how fast-moving the action on your screen is, transitions are rendered smoothly without the unwanting effects of ghosting or smearing. For much better visual experience, the Acer KG281K bmiipx uses BlueLightShield technology that reduces the exposure of blue light by adjusting color hue and brightness. You have the option to select 4 different filter settings onscreen through the OSD menu and find the best one that suits your eyes. In addition to this, Acer is equipped with ComfyView technology which helps to reduce the amount of light being reflected on the screen. Put it simply, this model provides a comfortable viewing experience for those heavy monitor users, like writers, students, designers or programmers. KG281K comes equipped with both HDMI (2x), DisplayPort 1.2 inputs and an audio line-out (mini-jack). To make it clear, the DisplayPort 1.2 connector is the only connector to support FreeSync here. Many modern gaming monitors offer built-in speakers, and KG281K is one of them, but to be honest, these 2 Watt speakers are awful. 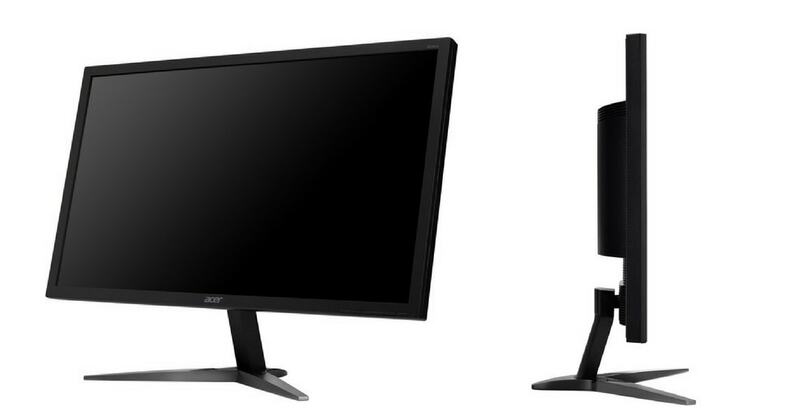 Acer KG281K is an interesting Ultra HD 4K gaming monitor. It does look boring but gives the user a surprising display performance if you keep in the mind the fact that it´s a TN display. The truth is, the Twisted Nematic (TN) panel is the reason why this model has so low price. Honestly, the TN panel isn´t a disadvantage here, the monitor offers a strong performance, 3840 x 2160 at 75Hz and supports AMD FreeSync. Plus, gamers can enjoy comfortable viewing experience while playing via flicker-less, low diming and ComfyView display.